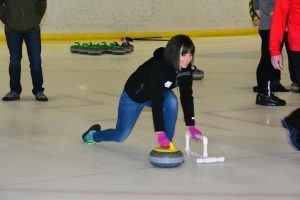 Curling is a lot harder than it looks! 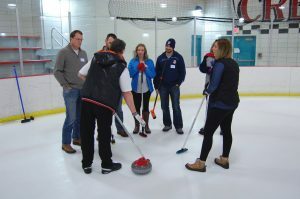 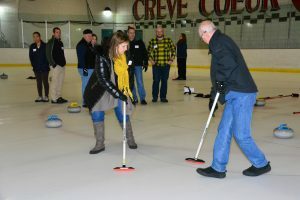 O’Toole and M+H went CURLING for our annual holiday party! 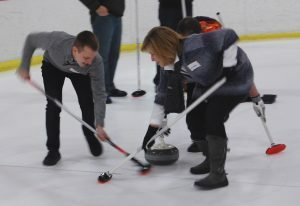 Here we are, newly trained in how to deliver the stone to the house (preferably in the button) with the help of our skip and sweepers, careful not to slip off the slider when leaving the hack, burn the rock, hog the stone nor heavy it.